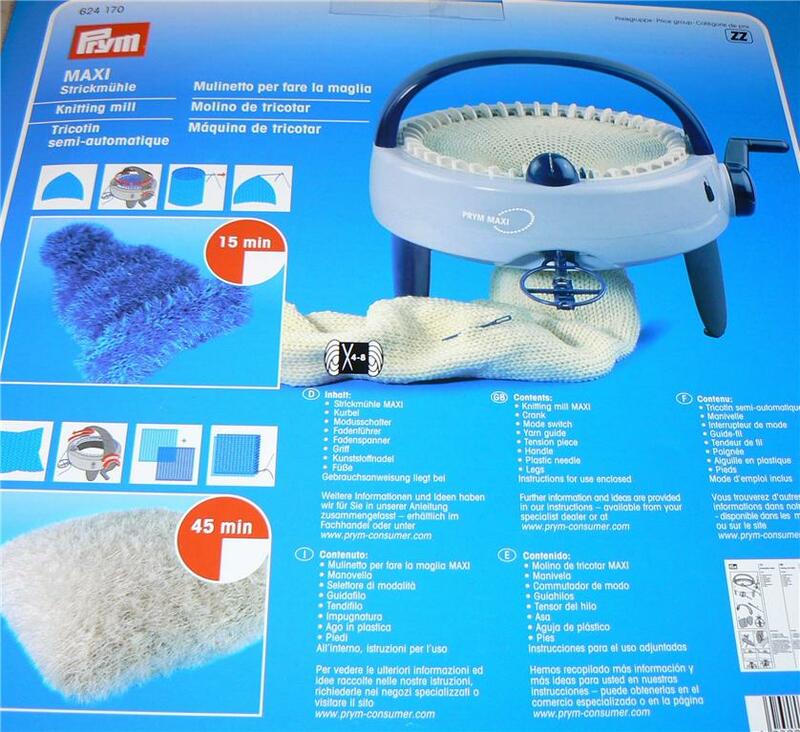 Prym Knitting mill maxi is a fantastic gadget, it is a quick & easy fun way to knit. 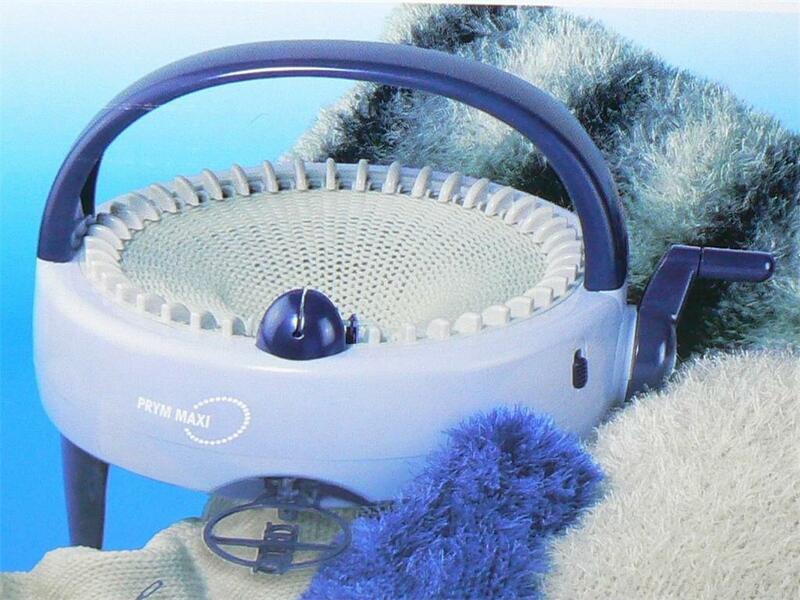 The mill knits tubes with a diameter of up to 33cm and flat panels with a width up to 43cm. The mill works well with most hand knitting yarns. 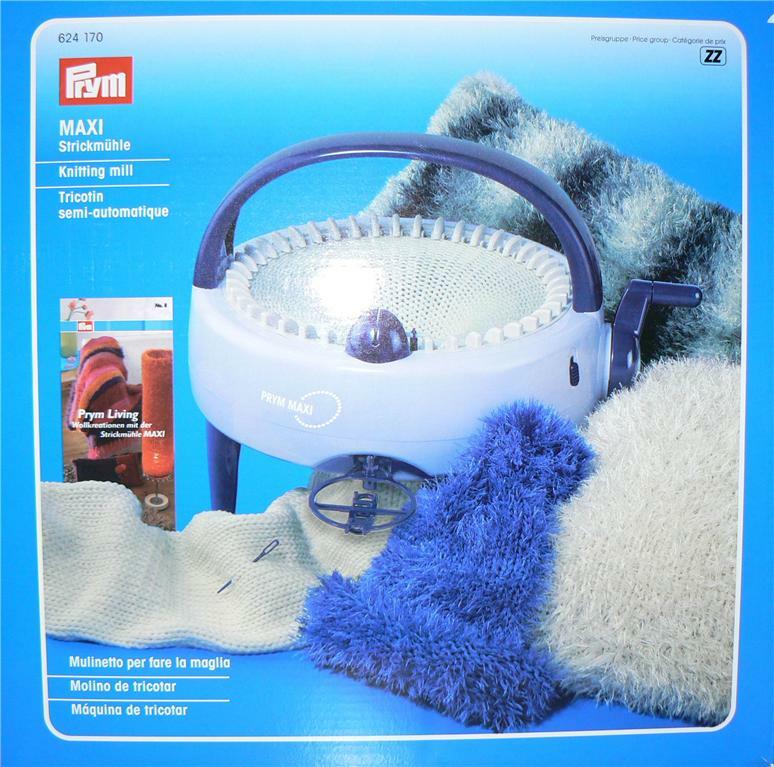 Contents include - Knitting mill maxi, Crank, Mode switch, Yarn guide, tension piece, Handle, Plastic needle, Legs & Instructions for use. The mill has a test sample already in the mill from the factory. There is a pattern leaflet available from Prym to make a Lampshade, if I have it in stock will include this in the parcel. There are more creations available to download at the prym-consumer.com website. Knitting Mill measures 300mm in Height & 390mm in diameter. This item is very heavy and weights around 1.95kg. I am happy to post this item overseas but it will be expensive - Europe & S Ireland tracked £17.99, United States & Rest of World tracked £22.99. Please note - the maximum I can send in one parcel is 2kg.. Flower Loom comes in box and contains Plastic Loom Pegs and instructions, Prym 624 156. Wooden Loom Rectangular with pegs 48cm x 14cm. Wooden Loom Square with pegs 29cm x 29cm, Prym 624 157.